Earlier this year, PESA’s International Outposts Subcommittee identified Mexico as a target location for expanding the association’s reach, providing unique opportunities to serve the service/supply sector and promote the PESA brand internationally. The PESA Mexico Task Force was formed in order to provide resources to PESA members of all sizes relative to the Mexico market. Companies already established in Mexico are seeking forward-looking guidance on new regulations, local content and contract law whereas those entering the market seek guidance on best practices. Most recently, the PESA Mexico Task Force identified the top issues for discussion with influencers and target groups: Compliance, Financial Risk, Local Content, Contract Law and Security Risk. In order to address these issues, the Task Force will meet with top influencers in the region, raise the key issues, and share best practices and pertinent information with PESA membership. 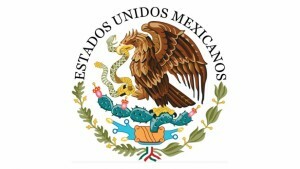 Moving forward, the Mexico Task Force will continue to create value for members as they break into the market or further develop long-standing operations, by educating member companies on best engagement opportunities. The committee’s ongoing goals are to create relationships with key influencers, identify gaps and challenges member companies may have, and focus on top issues in this region.